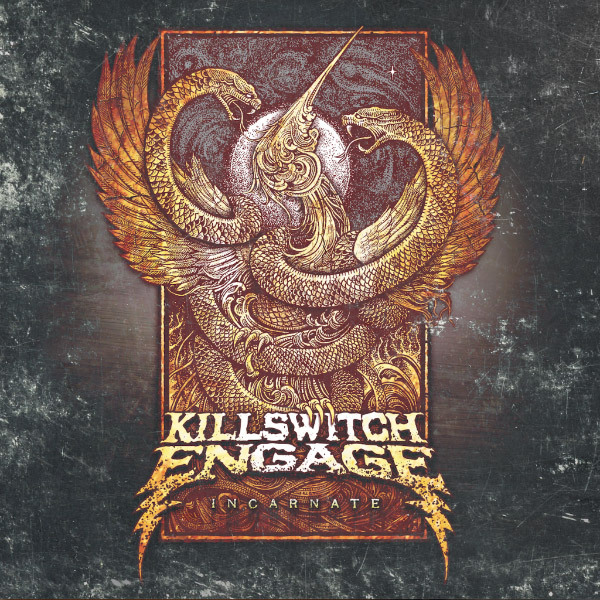 Back on March 11, 2016, one of my all time favorite metal core bands Killswitch Engage released their 7th album “Incarnate”, which is their 2nd since the return of original lead singer Jesse Leach [which would make it their 4th album with him)]. It has been 3 years since their last album “Disarm The Descent” which landed a number 3 spot on my top albums post for 2013. Since the release, I’ve listened to this album at least 20 times and it’s really good. My favorite track on the album is “Hate By Design” which was the second single released from the album. It’s got those melodic hooks that I’ve always loved from this band. Another great track is “Quiet Distress” which starts off nice a slow with that acoustic guitar strum, then rips into that signature sound that lead guitarist Adam D. Jesse’ vocals are spot on and maybe even a bit too polished on some songs like “Quiet Distress” and “It Falls On Me”. As far as compared to 2013’s “Disarm The Descent”, the strength of this album falls just a bit below. That album was hard to top, which was Jesse’s return to the band and they pulled out every metalcore stop to make an incredible album that was flawless from start to finish. The track listing above is from the Deluxe edition of the album, which adds the last 3 songs. The extra songs are good and not considered filler by this fan. The return of Jesse continues to be a positive thing for this band. I finally got to see them live at the end of March when they came to Salt Lake City. I still need to blog about that show, which I enjoyed a lot. And today, the band announced a return to SLC to play in September. I will most likely be going to see them again. For now, this album continues to remain in my regular playlist on all of my digital devices and cloud music services. And I expect it to land a spot on my Top Albums for 2016 list at the end of this year.